The Nigerian Security and Civil Defence Corps (NSCDC) will deploy no fewer than 2,000 of its personnel for the primary election of the All Progressives Congress (APC) in Ekiti State, tomorrow(Saturday). 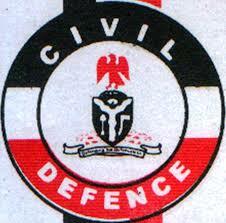 The Deputy Comptroller-General (Administration) of the NSCDC, Dr Ahmed Mohammed Jega, disclosed this while addressing officers and men of the Ekiti State Command of the corps, in Ado Ekiti on Friday. He said the reason was the determination of the security agents to forestall a repeat of what happened at the last attempt to elect a governorship candidate for the party in the July 14 election.